The Apple Watch could be in danger of getting more expensive in the US thanks to the feud between President Donald Trump and China. Reuters reports that the country is imposing tariffs on over $200 billion worth of Chinese goods. This is worrying for companies like Apple which assemble most of its products in China. For now, the list covers health trackers and smart speakers from companies like Fitbit and Sonos, but it could expand to mobile phones like the iPhone and laptops like the MacBook in the future. Consumer technology products like the iPhone and MacBook have so far escaped the effects of import duties. 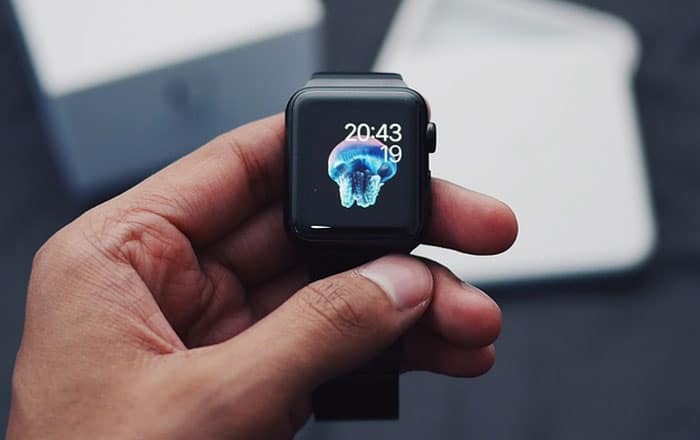 But it seems the US has now opened the door to imposing tariffs on smartwatches by placing them under an obscure subheading – data transmission machines. Specific products include the original Apple Watch, Fitbit Charge, Fitbit Charge HR, Fitbit Surge, Sonos Play:3, Sonos Play:5, and Sonos SUB speakers. The first-gen Apple Watch is a strange inclusion though, because the company doesn’t even sell that model in the US anymore. It’s possible this is just some bureaucratic mix-up and not a deliberate targeting of Apple. On the other hand, it could be taken as a warning shot at brands like Apple and a hint at more serious tariffs to come. As of now, the aforementioned devices are part of a $200 billion list of tariffs which are going through a public comment period. If the list goes into effect this fall, Apple, Fitbit and Sonos could get hit with a 10% tariff. The last has already said that tariffs will force it to raise its prices and harm its sales. The New York Times recently reported that Trump told Apple CEO Tim Cook that the US government wouldn’t impose tariffs on iPhones assembled in China. This could always change though, with rumors swirling that Trump wants to levy tariffs on all Chinese imports. Apple now has 3 options to remove the Apple Watch from the list. It can get the tariff code dropped from the list, try for an exclusion if the list goes into effect, or have its device classified under a different code not on the list.